The Custard TV: Phi & Kirstie: The Ant & Dec of the property market. 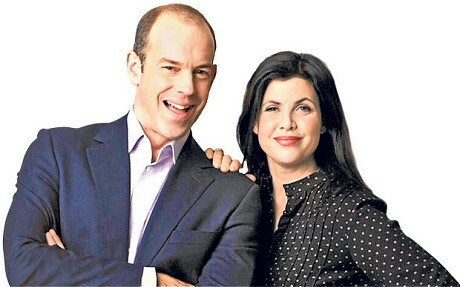 Phi & Kirstie: The Ant & Dec of the property market. I turned 30 this weekend. 30! How did that even happen? There should be laws in place to protect people from such things. Reaching such a milestone (or millstone) caused me to ponder the amount of different houses and places I'd lived in my life. I worked out (checked it with relevant family members) I've lived in 23 houses in 30 years. Quite some feat I think you'll agree. Just as I was processing the information Channel 4 showed an advert for the upcoming return of their hugely popular property series Location, Location, Location. As someone who has moved a lot, my Mum loves this programme and I have to admit I have grown fond of it too but it got me thinking what makes property on television so interesting? Whilst other types of television have steadily lost viewers over the years property on television seems to be a fad that will never die. As a nation we are incredibly nosey and perhaps the main reason the show has been going for almost 13 years is the fact that it is the televisual equivalent of peering round your neighbours house. Then there's the fact we're very nosey when it comes to other people's bank balances and part of us enjoys sitting open mouthed when a young couple have a ridiculous amount of money to spend. We then take great pleasure in watching that same young couple realise their budget gets them a tiny house with no garage, a garden the size of a postage stamp and a downstairs bathroom that's so tiny you'd struggle to close the door. Then there's the people who moan that the property doesn't have a big enough kitchen or that the bedrooms are north facing or that the garden is too big! There's something about seeing people moaning as they walk around someone's house that is strangely satisfying. 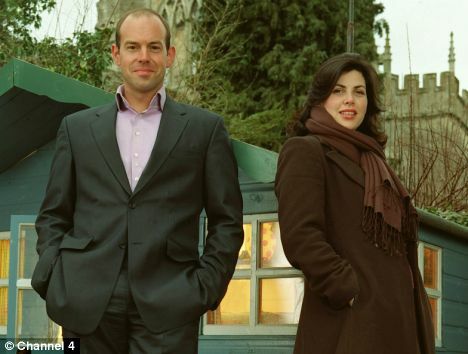 Of course I suppose the real reason people have enjoyed the series so much is the chemistry between hosts Kirstie Allsopp and long suffering partner in crime Phil Spencer. Younger viewers will be shocked to discover that when the first series went out on Channel 4, Phil actually had hair! Hard to believe I know. The duo are the Ant & Dec of the property market. Their chemistry and passion for finding people their forever home is infectious. I watch the series primarily for the banter between the pair. Kirstie's brutal honesty and Phil's instance on fitting as much innuendo into a sixty minute property programme as he can. You then realise they've got you again, you actually want to see if that same moany couple get the house they fell in love with. Phil or Kirstie take the couple to a nicely lit restaurant to put in their offer to the agent. Even after watching the series religiously for years I've yet to fathom why I care about whether a young couple in Kent should get the house they want but I really do. I had wondered when the property market went bang in 2009 whether we'd seen the last of our house hunting heroes but actually the ratings improved over that period. I asked Phil Spencer in an interview last year whether he worried about the show at the time. "There was a time back in 2009 where we were concerned and wondered whether people would still watch property shows. In 2005, 2006, 2007 watching property on TV made people feel good, happy and wealthy but suddenly in 2009 it made them feel nervous. We thought will people want to watch these shows with all hell breaking loose with the market? As it turned out our viewing figures in 2009 increased. We put it down to the fact that people were cautious, worried and very concerned about making the wrong decision so I think they were watching the show for advice and guidance." Whilst people are beginning to tire of reality shows and talent competitions the property programme it remains a hugely popular and important part of Channel 4's schedules. Whatever you make of the genre there's no denying the longevity of the series and I just hope when someday when I'm looking for house 24 I can have Phil and Kirstie's assistance.